In 1989, four teenage friends from Los Angeles had a chance encounter with “Bones Brigade” mastermind Stacy Peralta that would forever change their lives and the future of skateboarding. This is the story of “The L.A. Boys,” a new feature-length documentary by Colin Kennedy, featuring Gabriel Rodriguez, Paulo Diaz, Rudy Johnson, Guy Mariano, and many more skate legends. These photos picture the Boys at the original Ban This locations, nearly three decades later. 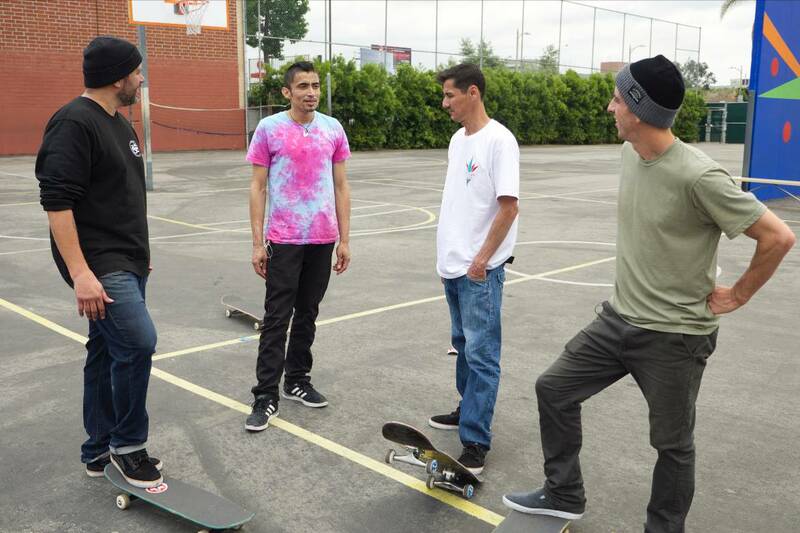 “The L.A. Boys” is available now on iTunes and on the following platforms: Vimeo on Demand (side note: this is the best viewing option for skaters in Europe), Amazon, Google Play, VUDU, Playstation Video, and on Xbox. If you have even the faintest interest in the late-’80s tectonic shift towards what was then known as “street style” skating, you need to see this movie. It will give you goosebumps. Jamie Foy, the current face of powerful Floridians migrating to Cali, is rising from the East and he made everyone feel lazy this year. As seen in The Skateboard Mag issue 156, out now.